Another rendition: Narrow band imaging lends itself to endless interpretations. I am not even sure which of these I prefer myself! NGC 6820 is an emission nebula that surrounds open cluster NGC 6823 in Vulpecula, near M27, the Dumbbell Nebula. 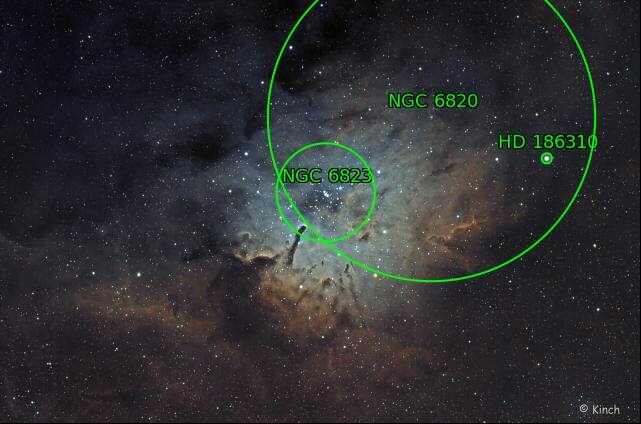 The nebula NGC 6820 is also called Sharpless catalog Sh 2-86. The most striking feature is the trunk-like pillar of dust and gas protruding from the east side of the nebula towards the open cluster, NGC 6823 in the west. The center of the open cluster is about two million years old and is predominantly represented by many young, bright blue stars. 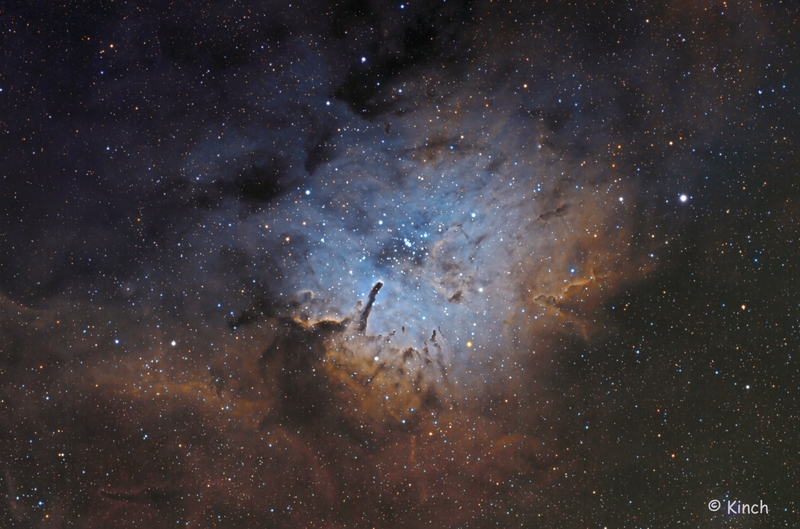 Outer parts of the cluster intimately involving pillars of emission nebula NGC 6820, contain even younger stars. The huge pillars of gas and dust are probably formed when surrounding gas and dust is pushed and eroded away by radiation from nearby stars. Remarkable dark globules of gas and dust are also visible in the nebula, much as is seen in the better known Eagle Nebula in Serpens or the Lagoon Nebula in Sagittarius. 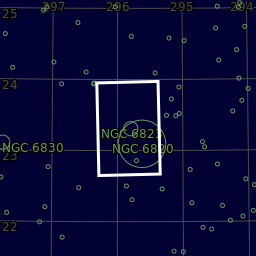 Open star cluster NGC 6823 is about 50 light years across and lies about 6000 light years away. 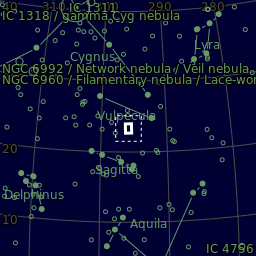 It forms the core of the Vulpecula OB1 stellar association. 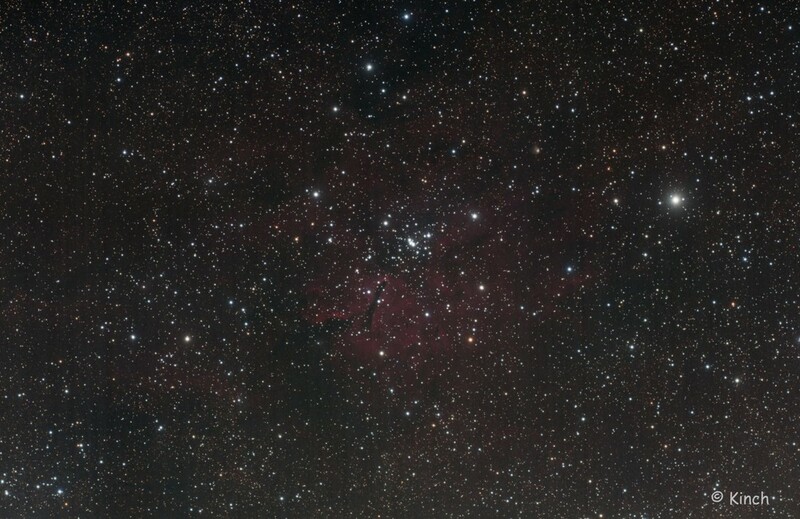 Software: PHD 2, Pleiades Astrophoto PixInsight , Sequence Generator Pro SGP, Astro Pixel Processor. Astrodon 3nm Ha 33 x 1200"
Astrodon 3nm SII 21 x 1200"
Astrodon RGB 90 x 120"
Integration: 29 Hours for the final image below. (26 hours 30 minutes for the top images). Center (Dec, dms):+23° 18' 38.092"
The hydrogen alpha emission is quite strong but both the OIII & SII are extremely week - in fact not really visible in a 20 minute sub. RGB stars blended into the Narrow Band image....to make the Final Image. Click on the image for higher resolution.